Yet another post-coup victim was forced into a black van in broad daylight in Turkey’s capital province of Ankara, according to a family member. 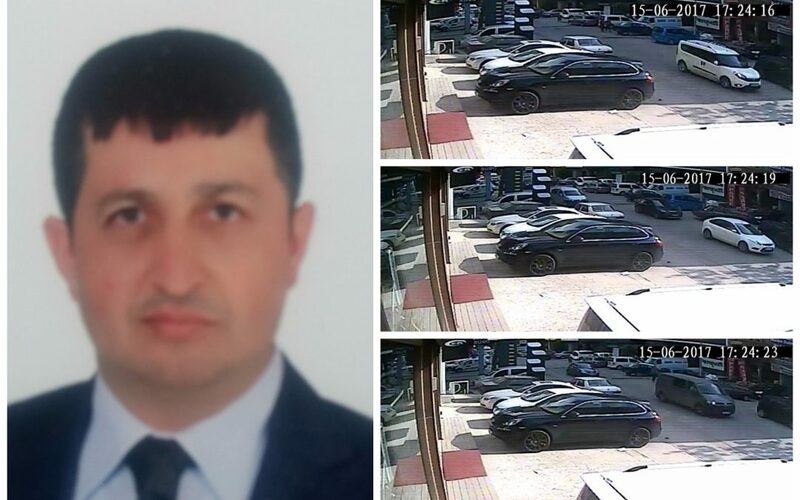 Cemil Koçak, an engineer who was dismissed from a government position over his alleged links to the Gülen movement, was followed by four cars (a black and a white Ford Focus, a VW Transporter van and a Fiat Doblo) at around 5.30 pm near his home in Ankara’s Altindag district on June 15, a Twitter account claiming to be his wife said on Saturday. Koçak, a former agriculture ministry employee, was dismissed under a post-coup emergency decree on Sept 1, 2016. The reason for his dismissal was his alleged links to the Gülen movement, which the government accuses of masterminding the July 15, 2016 coup attempt. One of those cars hit Koçak’s own car to stop him in the middle of the day and he was forced into the black van just before the eyes of his 8-year-old son, the Twitter account said. The abduction took place in a blind spot not covered by any of the four CCTV cameras around, according to the account. It is unknown whether the footages were provided by police or not. Mysterious disappearances involving already-victimized opposition groups have become a common occurrence in Turkey in the aftermath of a July 15 coup attempt. At least ten cases of alleged abduction including that of Kocak have been reported so far. Previously, three teachers, a lawyer, a university employee, two intelligence agency officials, an Information and Communication Technologies Authority (BTİK) employee and a Competition Authority employee have been reported while one of the teachers was handed over by unidentified men to police after spending 42 days out of sight. Those not seen for quite some time all have in common in their personal histories that they have lost their jobs amid a sweeping crackdown that the Turkish government has conducted against its critics, particularly members of the Gülen movement. In the parliamentary question meant for Prime Minister Binali Yıldırım on April 25, Republican People’s Party (CHP) İstanbul deputy Sezgin Tanrıkulu asked why an effective investigation is not being conducted to find these people and who abducted them. Tanrıkulu also said there is widespread suspicion about the abduction of these people by the Turkish National Intelligence Agency (MİT).